Exceptional quality. Ethical factories. Radical Transparency. Everlane was founded on the concept of supply chain transparency. Their mission is to offer consumers well-designed, high-quality clothing and accessories at an approachable price point, while sharing the true cost of markup for every product. The company is not big on trends. They want you to wear their pieces for years, even decades, to come. Hence the focus on timeless products— like Grade-A cashmere sweaters, Italian shoes, and Peruvian Pima tees. Ethic production is another crucial element of the brand’s DNA. Each factory is given a compliance audit to evaluate factors like fair wages, reasonable hours, and environment. Finally, at Everlane they believe customers have the right to know how much their clothes cost to make. The company reveals the true costs behind all their products—from materials to labor to transportation as well as their markup. There is no magic formula to creating a high converting, perfect e-commerce. 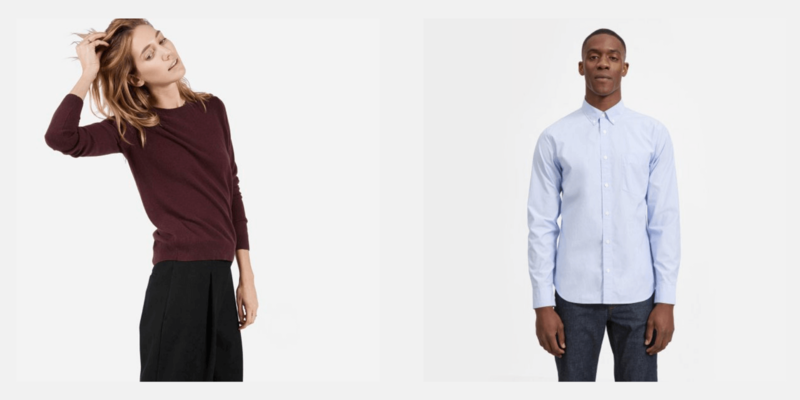 However, usually the best sites and stores are the simplest and Everlane is a great example. The feeling one gets when browsing everlane.com is: clean and detailed with a simple navigation bar and website layout that allow users to find what they’re looking for quickly. Everlane also does a great job of utilizing social media to promote their wares—for example, they have a secret shop that users can only get access to if they tweet or Facebook about Everlane’s products. 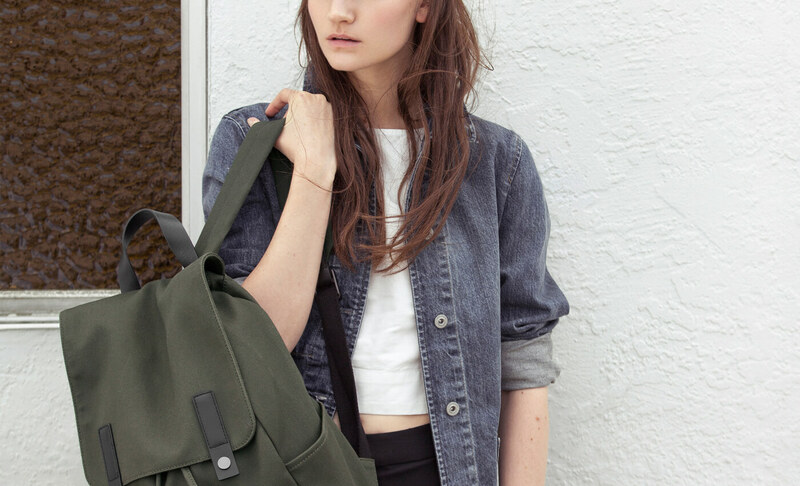 Everlane made a strategic decision to build their entire digital business in-house. This includes e-commerce, for which they chose Spree, a highly flexible and easily scalable open source solution. Everlane is running 20+ apps on Heroku using a single-page application architecture, which enables a fast user experience. The apps are built in Rails, use React on the front-end. Previously, the team had used Chaplin, an HTML5 architecture based on Backbone.js, before transitioning to React. Everlane’s deployment process uses branch deploys that enable the team to evaluate performance in a production environment before it gets merged to master. They use a Ruby Gem called Scientist to run two versions of a particular Ruby method in parallel, a control and a test version, to help test branches using actual production traffic. Everlane re-defines the fashion supply chain, sharing the true costs and factory details behind their products. The brand is engaging and memorable. It stands out in the fashion industry thanks to its ethic and transparent attitude. Its online store reflects perfectly those qualities with the simple but elegant design and user friendly navigation. Spree Commerce with its flexibility and scalability proved to be a perfect match for yet another successful eCommerce startup!